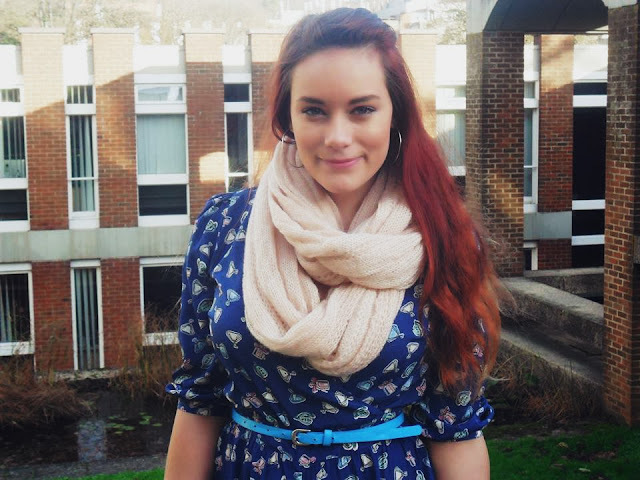 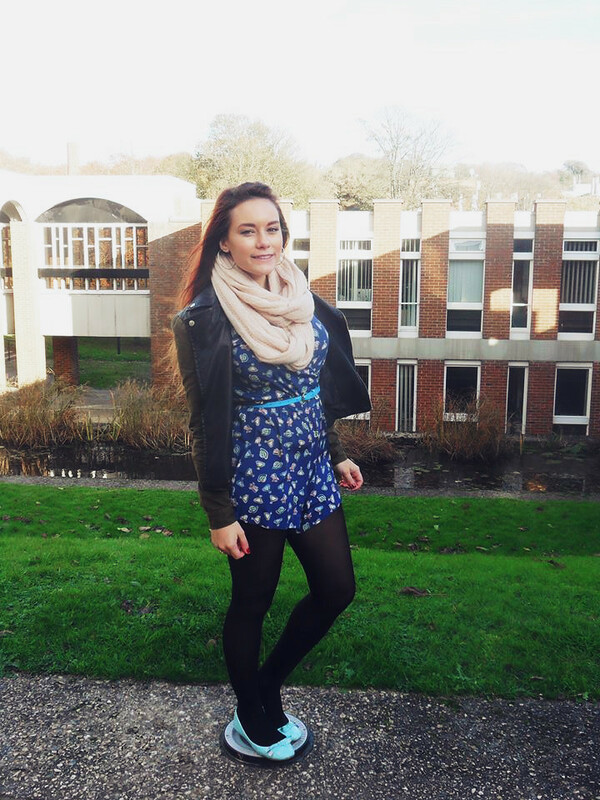 Today's outfit post was actually worn to uni, yesterday. 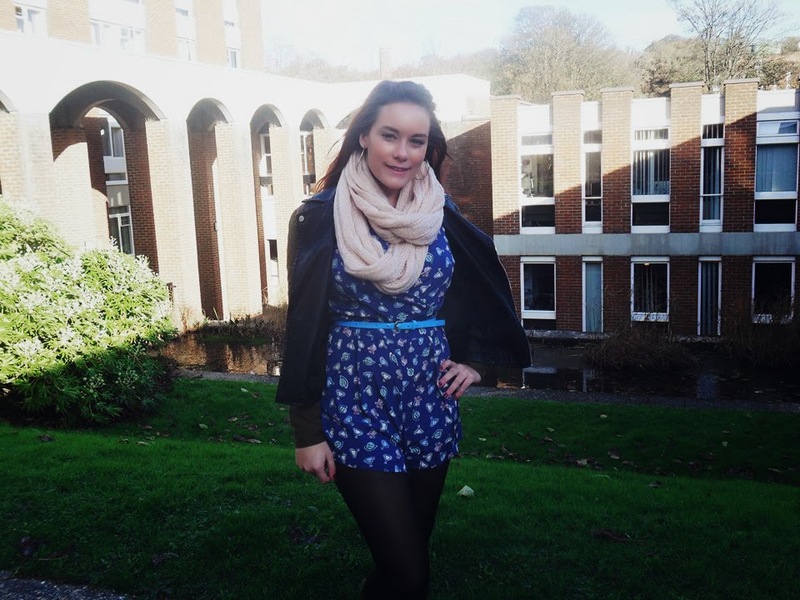 The photographs come courtesy of my housemate and fellow fashion enthusiast, Rosie. 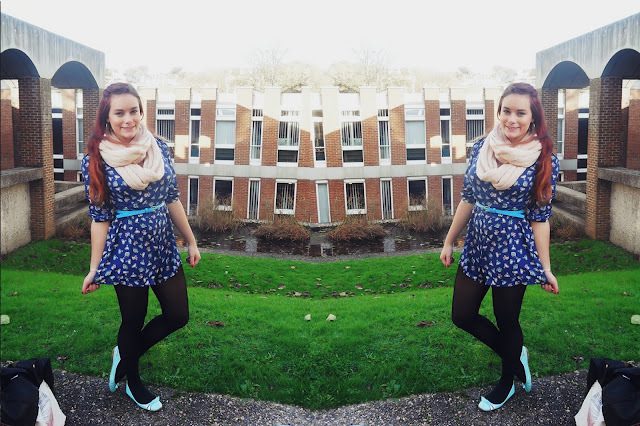 Rosie has started a fashion blog recently called 'A Rosie Tinted Life,' so click the name to see her blog and leave her some love! 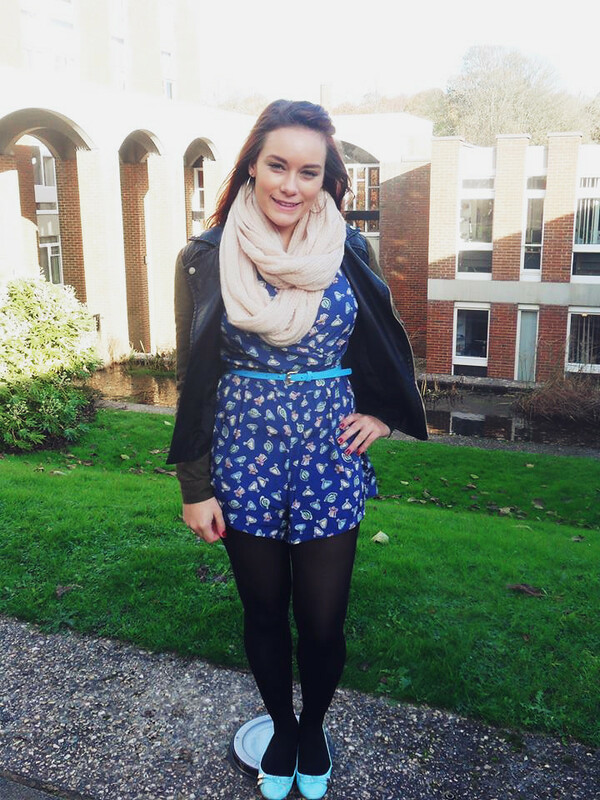 Initially, I wore this playsuit thinking it would be comfortable and stylish at the same time, I was right, up until I needed the toilet in the library and went in alone, without a friend to help me zip myself back up/do the inconvenient button at the back up- oops. I'm actually away at an Ultimate Frisbee tourney this weekend, so this post is scheduled (here's to hoping it goes live), but be sure to check out my youtube channel, as I have a very exciting giveaway video going up on Sunday!